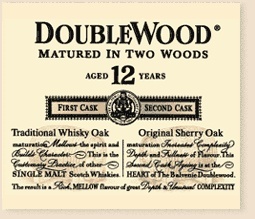 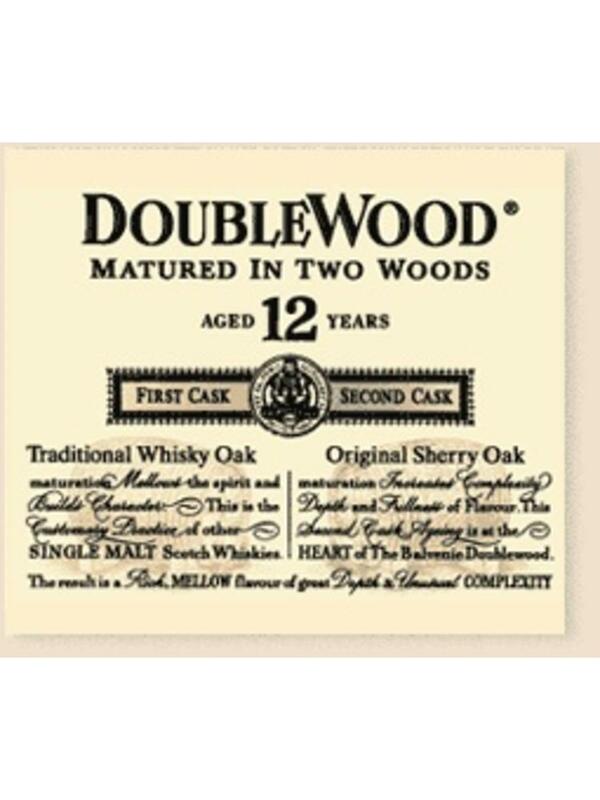 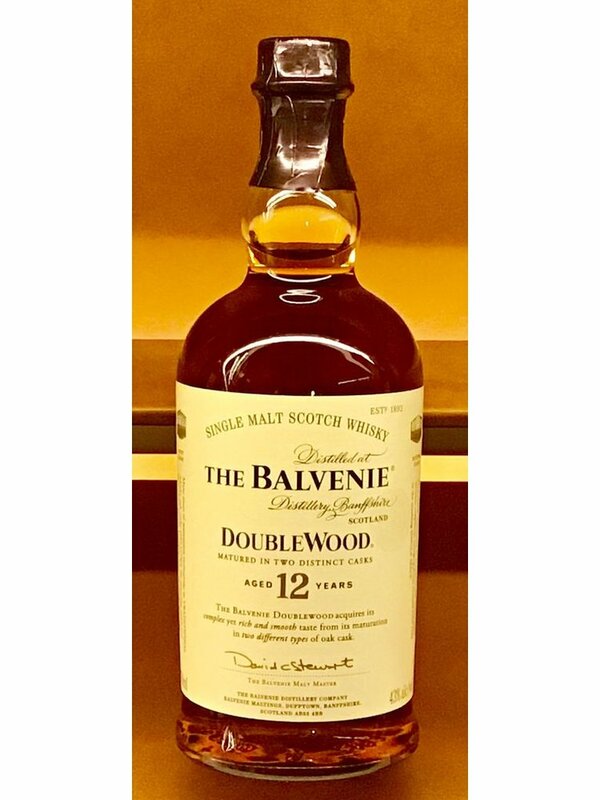 "The balvenie Doublewood is a 12 year old single malt which gains its distinctive character from being matured in two woods. 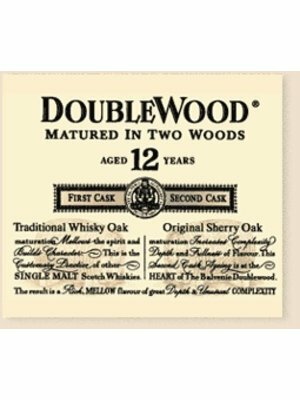 Over its period of maturation it is transferred from a traditional oak whisky cask to a first fill european oak sherry cask. 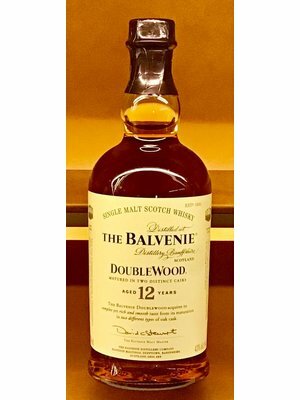 Each stage lends different qualities to the resulting single malt the traditional casks soften and add character, whilst the sherry wood brings depth and fullness of flavor."